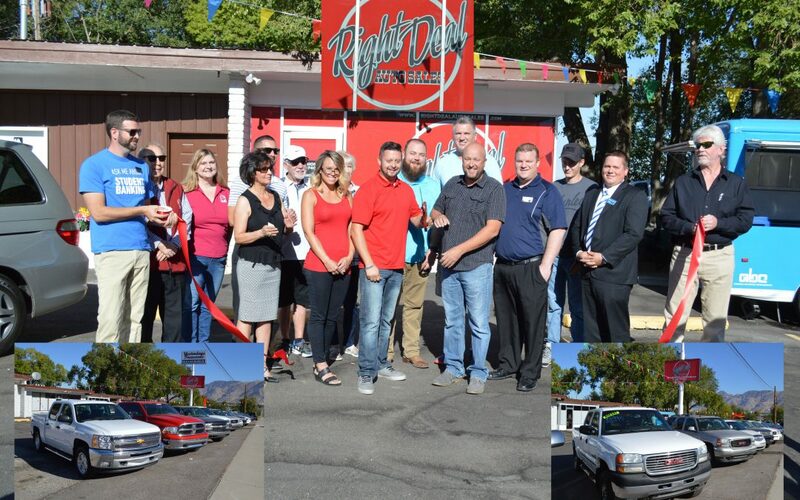 Right Deal Auto Sales is excited to be in Box Elder County. On Friday, September 28th the Chamber hosted a ribbon cutting ceremony. Pictured here with scissors are owners Tyler Walton and Darren Thompson other attendees included Tyler’s wife Maria, family members, friends, Perry Mayor Kevin Jeppsen, County Commissioner Jeff Hadfield, and Chamber representatives. Right Deal Auto Sales is located at 2090 South Highway 89 in Perry. Great selection priced below $10,000.